Some time ago, I have explained about the IC eMMC, it is "What is eMMC? its function and kinds of them for Android Smartphone." 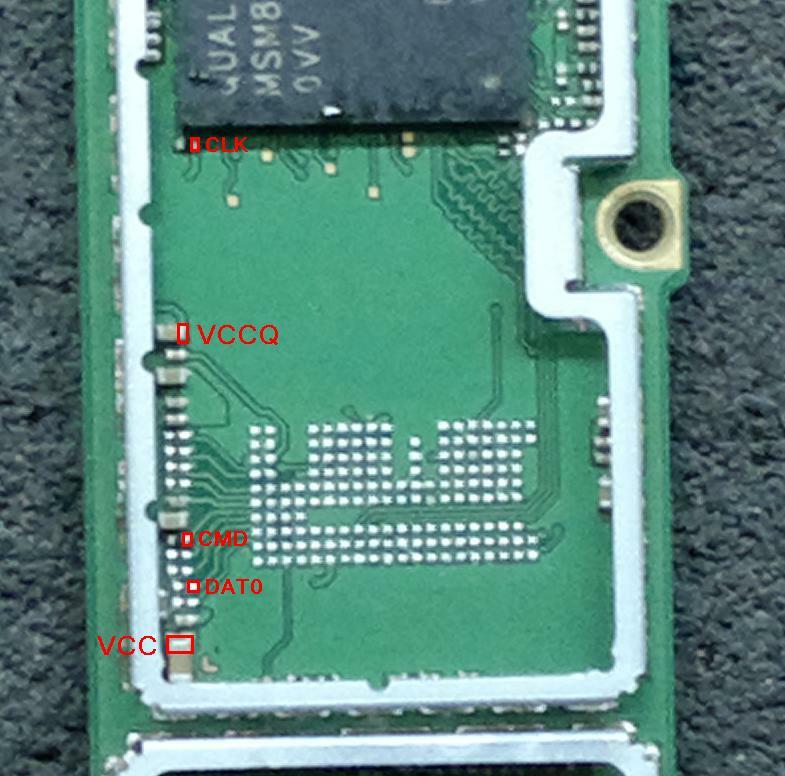 Well, this time I will share the scheme about the location of the pin out of the eMMC in Nokia X2 Dual SIM RM-1013. There are 6 pin out points i.e. GND, VCC, VCCQ, Data 0, CLK, CMD. These points are requirement for eMMC works. Previously, I have made an article about eMMC in Nokia X2 DS, it is "Let You Know The Placement of The IC eMMC in Nokia X2 Dual SIM". The location of these pins out are usually in the eMMC environment. Please refer to the pictures below for more details. 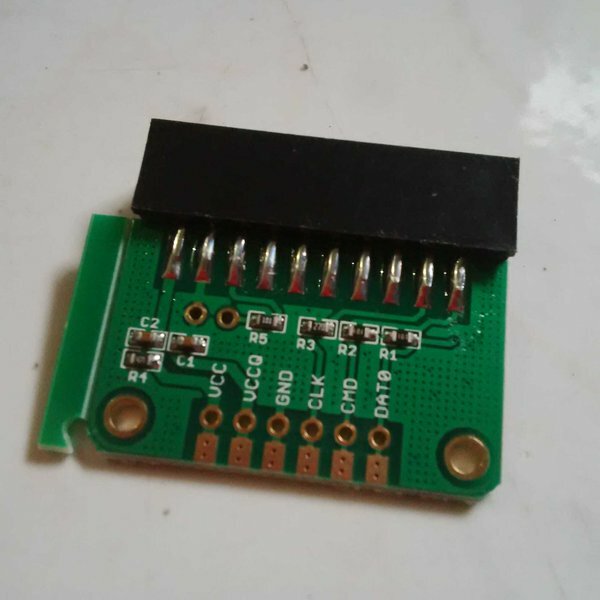 If we use the UFI Box to fix eMMC via direct eMMC way, we need a tool or adapter to connect all the pins out of the eMMC by using wire jumper. For more details look at the picture below. The advantage of Direct eMMC is we can fix the eMMC without having to remove it from the engine Board smartphone.